Kuhn Rikon Baguette Knife. 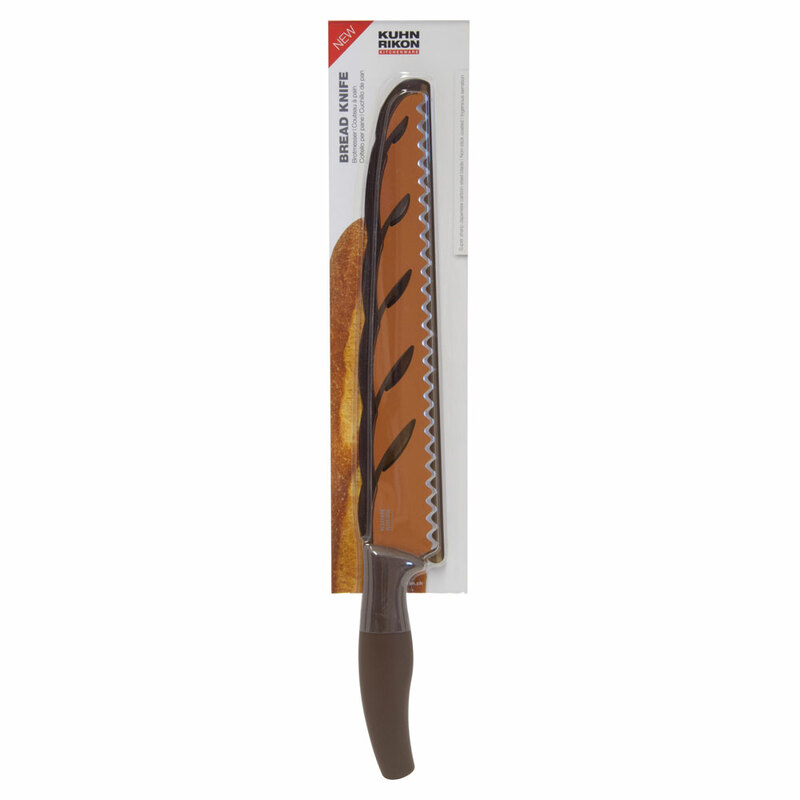 Whether it is large or small, firm or soft, wholemeal or white this bread knife cuts every crust easily with its specially serrated blade, regardless of the thickness, and it is still gentle on the soft insides. The ergonomic handle fits the hand well and allows for precise and easy cutting even with bigger chunks. Non-stick coated, super sharp Japanese carbon-steel blade for simple and precise cutting. Special serration- cuts firm crust with ease, gentle on the insides. Ergonomic handle provides excellent leverage when cutting.